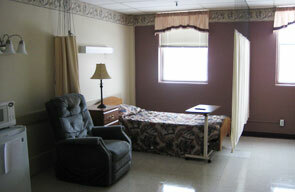 Eagle Point Now Offers 13 Private Rehabilitation Suites! Our amenities include dining table for family and friends to visit, refrigerator, telephone and room service for meals. These rooms have proven very beneficial to our short term patients and their recovery Patients can also pre-register for their room at Eagle Point before a scheduled surgery. In 2012 we sent 114 people back home and for 2013 our goal is 120. We have a seasoned therapy team with over 40 years of combined experience and we are well known in Clinton for returning people back to their home safely. For more information see our Therapy services page. We understand that people may need a short break from caregiving for various reasons and we can provide individuals and their families with that break. Be it 2 nights or 2 weeks, we are happy to help families. 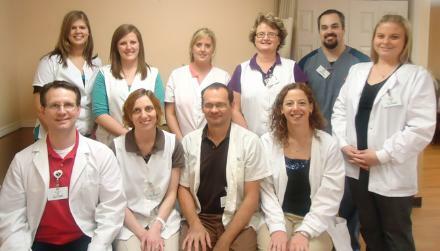 Eagle Point is licensed to offer their excellent therapy programs as an outpatient service! You can receive physical, occupational or speech therapy on an outpatient basis. We are also able to offer therapy at local assisted livings, Bickford Cottage and Prairie Hills.